Your art, larger than life. Show your work in the largest, brightest, most dramatic venue on the planet. 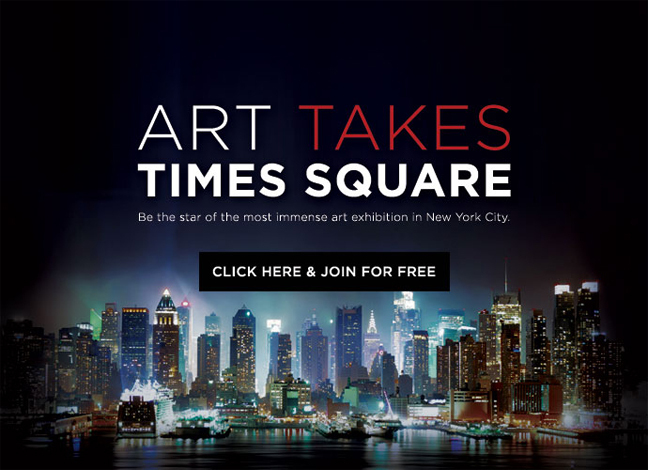 You’re invited to join Art Takes Times Square, a competition searching for inspired works by artists, designers, photographers and all creative talents from across the globe, to identify one visionary whose artworks will transform the most visited attraction in the world into a brilliant, spectacular exhibition.